PAPILLION, Neb. (KMTV) — The boys of summer are back in town. 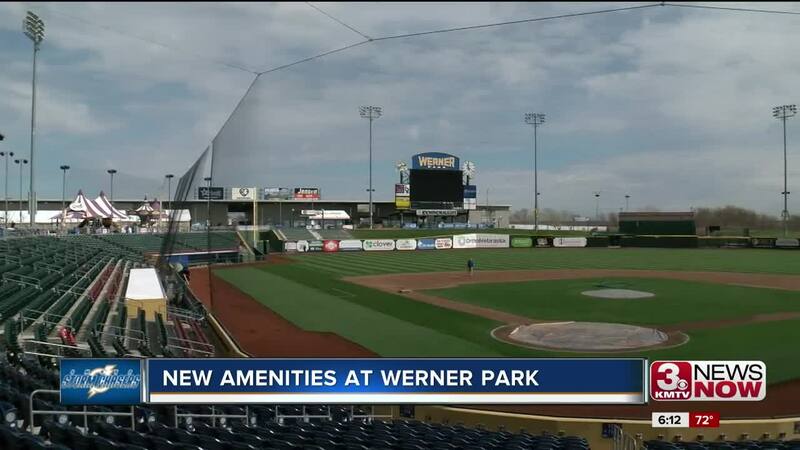 On Tuesday night the Omaha Storm Chasers host their season home opener and fans should expect to see some changes at Werner Park. The biggest addition this year is the Jack Daniels club behind the first base dugout. The area is for club guests and features a bar and the first ever jello-shot machine in Nebraska. The team expanded their team store, added a he team also has a taste of Nebraska food stand and added video screens in the concourse by seats. "As the years go on you have to reinvent yourself, whether that's through promotions, through community relationships or physical plants here in the ball park," said Storm Chasers General Manager Martie Cordaro. "It's important and we have a review after each game and we do a full season review and we have a planning session that we also do in October. I believe that's what keeps us fresh and keeps us energized." The Storm Chasers also extended the safety netting to behind the dugouts on both sides. Previously the netting ended behind home plate.